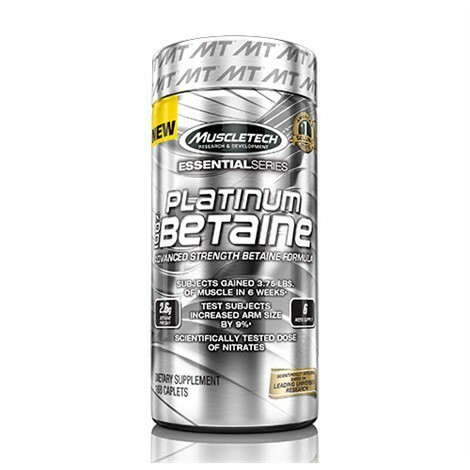 Produktinformationen "MuscleTech Platinum 100% Betaine 168 Kapseln"
Platinum 100% Betaine is the most advanced betaine formula to date. Each daily dose of betaine delivered in this formula provides the scientifically studied dose of betaine that helped test subjects gain an amazing 3.75 lbs. of lean muscle in 6 weeks. What’s more, test subjects actually increased arm size, as measured by a cross-sectional area (49.5 to 54.1cm2)! Platinum 100% Betaine also delivers a scientifically researched dose of nitrates with added betaine nitrate – something you can only find in Platinum 100% Betaine. Our formula provides 350mg of nitrates per day – a dose shown to scientifically improve muscle oxygen utilization and endurance for improved exercise performance. 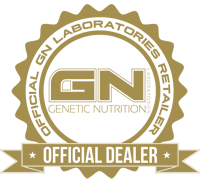 We use ultra-pure HPLC-tested betaine anhydrous, and only Platinum 100% Betaine comes packed with the scientifically validated- precise 350mg dose of nitrates per day to improve muscle oxygenation and endurance for significantly increased performance. What’s more, our formula is completely free of stimulants, so it can be stacked and taken any time of day or night for real results! Weiterführende Links zu "MuscleTech Platinum 100% Betaine 168 Kapseln"
Kundenbewertungen für "MuscleTech Platinum 100% Betaine 168 Kapseln"